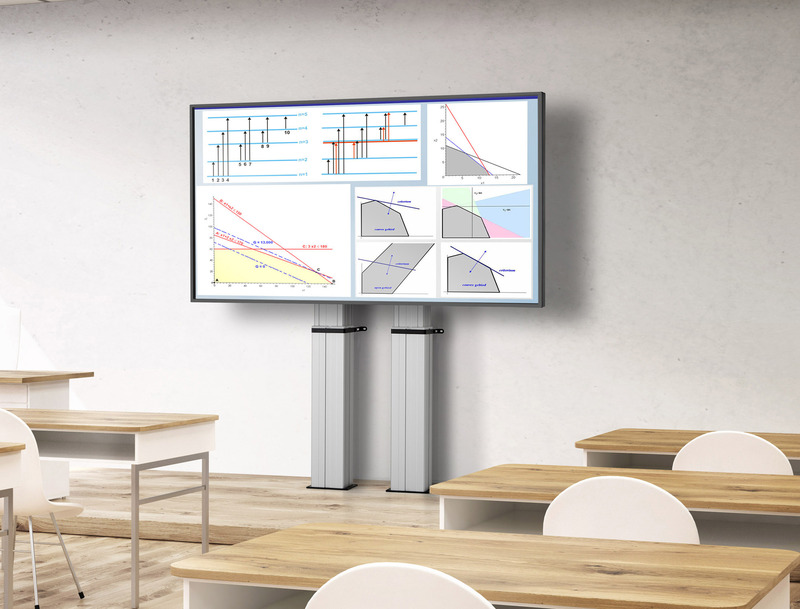 Vogel’s motorized solutions allows educators and presenters to bring their content to new heights. Schools, universities and companies are rapidly modernizing their classrooms and meeting rooms. Blackboards and whiteboards are being replaced by large interactive displays in order to create an immersive and engaging environment. Whether your audience are children in playground or the board of directors, they will always be able to interact with the content thanks to the display lift’s unique travel. The modularity of the system is unique. With only a few components you can create almost every situation. A floor stand solution, a mobile solution or a fixed to floor solution. With the optional wall bracket you can also secure this solution to the wall. Vogel’s motorized solutions are also suitable for Microsoft Hub and Cisco Spark Board.